My name is Molly and I attended Hygiene school at Ferris State University. I’ve been working with Dr. Vincelj and Dr. Conlon since 2006. I’m a fun loving girl who enjoys working and joking with people. 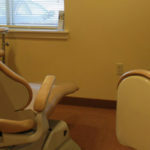 I love helping patients achieve total oral and body health! In my free time I enjoy spending time with friends and family, crafting, fitness, and being at the lake up North.